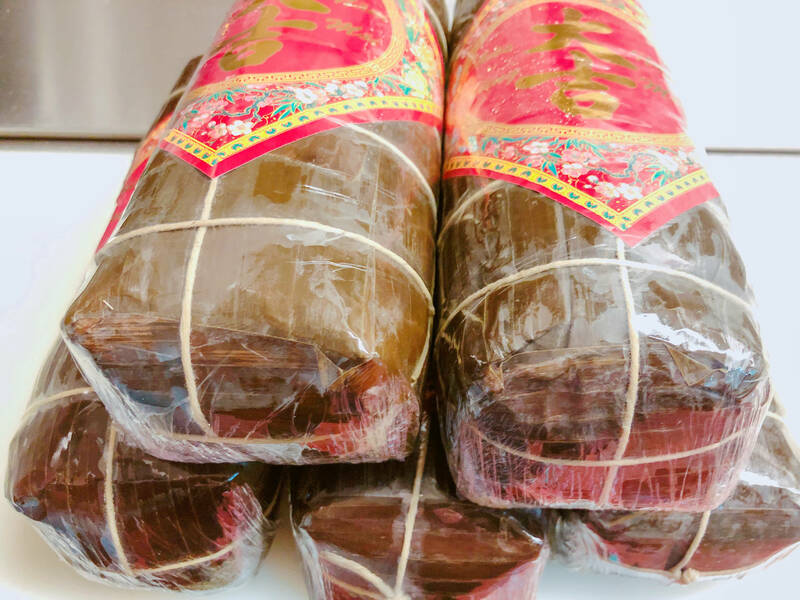 Lunar New Year is almost upon us, and anyone whose family celebrates this momentous annual affair is probably already preparing for the big day. Fact: Lunar New Year is the beginning of the year for people who follow the lunar calendar (literally a calendar coordinated by the cycles of the moon). Chinese New Year, Vietnamese New Year (Tết), and so on fall under this umbrella. If you feel like going out, there's always the Oakland Lunar New Year Celebration (Feb. 10th), the San Francisco Parade (Feb. 23rd), the San Jose Lunar New Year-Tet Festival (Feb. 8-10), and more. 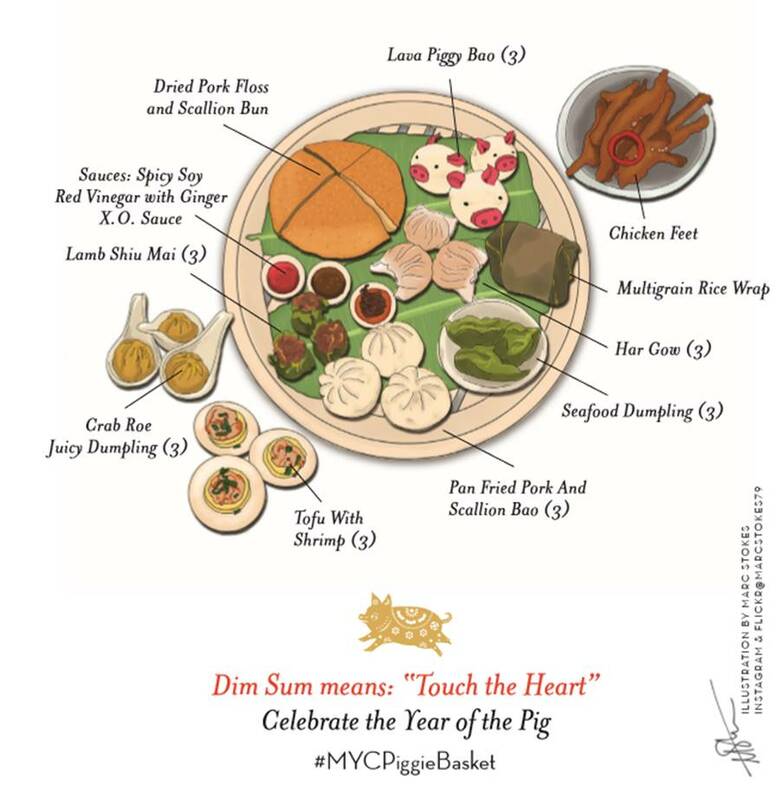 If your family doesn’t feel like cooking but do want to celebrate the Year of the Pig, we’ve assembled a list of a few locations doing special menus. If you know of other restaurants or pop-ups celebrating Lunar New Year with something special, let us know! From February 5th-February 23rd, 2019, M.Y. 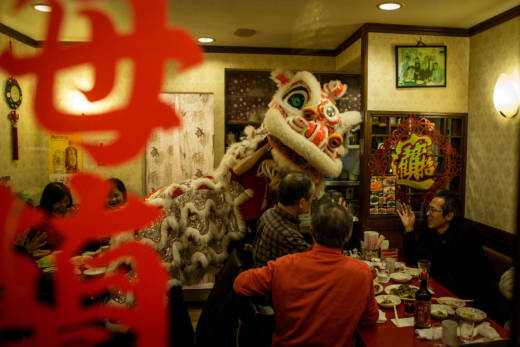 China is celebrating the Year of the Pig with a big menu suggested for sharing between six people ($288) so groups of friends and family can all come in and celebrate Lunar New Year together. Dishes include Happy Family Soup (chicken, lamb, pork, bamboo shoots, wild mushroom medley), Salted Egg Yolk Shrimp, Sweet Taro Soup and more. Want to catch a glimpse of celebrity chef Martin Yan? He will be popping in the restaurant occasionally during the New Year celebration, but your best bet is to follow them on social media (@tastemychina) for updates on his whereabouts. Tay Ho Oakland (a Check, Please! Bay Area alumnus) will be closed February 3rd-5th, but they will be serving up Vietnamese traditional dishes the whole week before and the whole week after in celebration. To be clear, that means January 29nd-February 2nd and February 6th-February 10th! 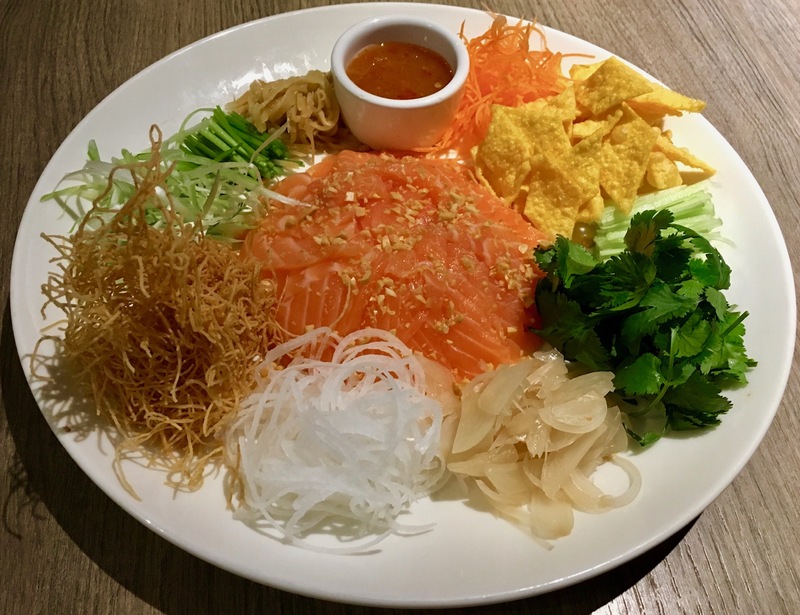 The traditional dishes they plan on serving include caramel braised pork belly and eggs (thit kho trung), the traditional Vietnamese Tet sticky rice cake (bánh tet) and pickled vegetable (Dua Mon). Bonus, they’re going to have a special themed cocktail as well! Want to splurge even more? Harborview Restaurant and Bar, the new restaurant that opened last fall in place of Crystal Jade, is offering two decadent options (with a price point to match). The more expensive menu is $1188 and serves 10 people, but it includes items like lobster, abalone and truffle. For a bit more, they have a menu of add-on items like Braised Abalone with Fish Maw ($55), Roasted Pork Knuckle ($38), Pan Fried Coconut Sticky Rice ($6) and so on. The menu will be available from February 1st-February 23rd. The end date is the same date as the Chinese New Year Parade in San Francisco so you could go for a meal and then watch a show. The restaurant is kicking off the Chinese New Year with its first-ever celebration on February 6th with a special dinner from 6-9pm (regular dinner seating won't be available that night). For $75, you get two drinks and access to all dining stations, and the evening will feature dim sum carts, a Master Soup Dumpling maker, Chinese Lion Dancers, themed cocktails, and more. 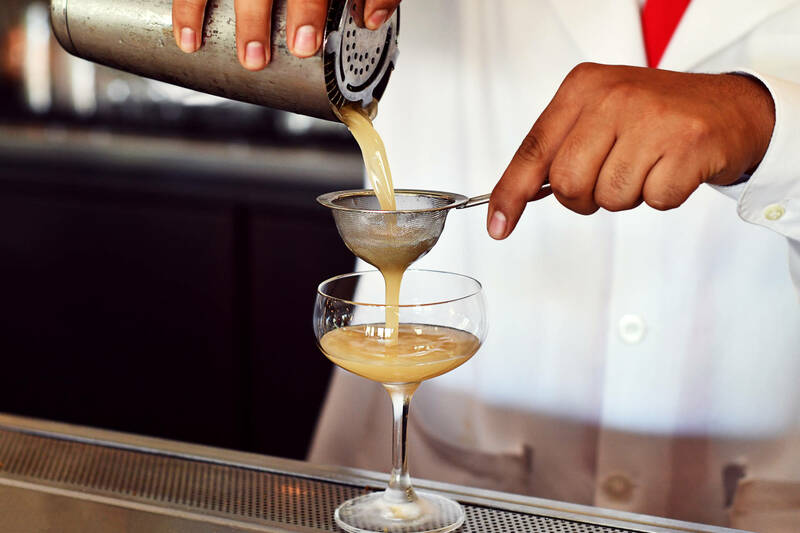 From February 5th-12th, Presidio Social Club will also have rotating specialty a la carte menu items inspired by the Lunar New Year. For dim sum options at said special dinner, you'll find tasty items like mui choy kow yut (pork belly stewed in Chinese black vinegar & preserved greens), hoi sin shumai (shrimp & petrale sole shumai), spareribs, and more. Noodles, dumplings and bigger items will include offerings like Chef Williams’s hand pulled noodles with beef shortribs, xiao long baos, PSC’s favorite Broadway & Columbus duck noodles (Chinatown roast duck, pappardelle noodles, duck broth, butter & scallions) and steamed whole fish. These menus are available from February 1st-February 10th. Yum! At Union Square's modern Asian restaurant, E&O Kitchen and Bar, Executive Chef Sharon Nahm has created a pork-centric menu in celebration of the new year. This hog wild menu will feature pork dishes from different regions of Asia. And don’t forget the pairings! Cheeky pig themed beers and cocktails will also be featured throughout the month of February to keep the Year of the Pig celebration going. How are you celebrating the Lunar New Year? Is it with family and friends? Are you flying, driving, or hopping on the train anywhere? Tag us on Facebook, Instagram, or Twitter with your celebrations!